Oddfellows Hall, Launceston | Launceston Then! 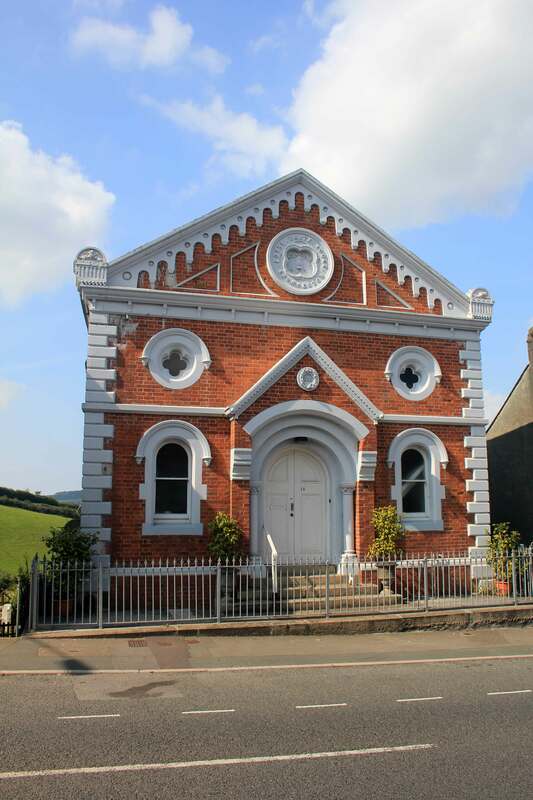 Oddfellows Hall, Western Road, Launceston. The Oddfellows were first introduced into Launceston about 1865, and for their first dozen years their meetings were held at the Bell Inn, in Tower Street. From there the Club emigrated to The Western Subscription Rooms in Westgate Street. They had a site granted them (at a slight cost) by the Prince of Wales in Western Road. The building was designed by Charles Wise a Launceston architect and Mr. Burt carried out the construction which was started in 1879. Oddfellows hall is situated at No. 14 Western road, and was completed in 1880. The building has been used for many things over the years from a Junior school for Dunheved College, various meetings and as many people remember it these days as ‘Ultra Training’. It has now been converted into residential flats. The name Oddfellows refers to a number of friendly societies and fraternal organisations operating in the United Kingdom. It also refers to a number of Lodges with histories dating back to the 18th century. These various organisations were set up to protect and care for their members and communities at a time when there was no welfare state, trade unions or National Health Service. The aim was (and still is) to provide help to members and communities when they need it. The friendly societies are non-profit mutual organisations owned by their members. All income is passed back to the members in the form of services and benefits. In 1810, members of the Oddfellows in Manchester area became dissatisfied with the way the Grand United Order was being run and formed an independent Order with the title ‘Manchester Unity’. It was with the Manchester Unity that Launceston’s Oddfellows were associated with.